Driving our i3 BEV for almost a year put us on a crash course of learning how electricity is quantified, produced, transported, and consumed. First to understand how electricity measured you need to know what a kWh is, think ten 100 watt light bulbs burning for an hour and that’s a kiloWatt hour. 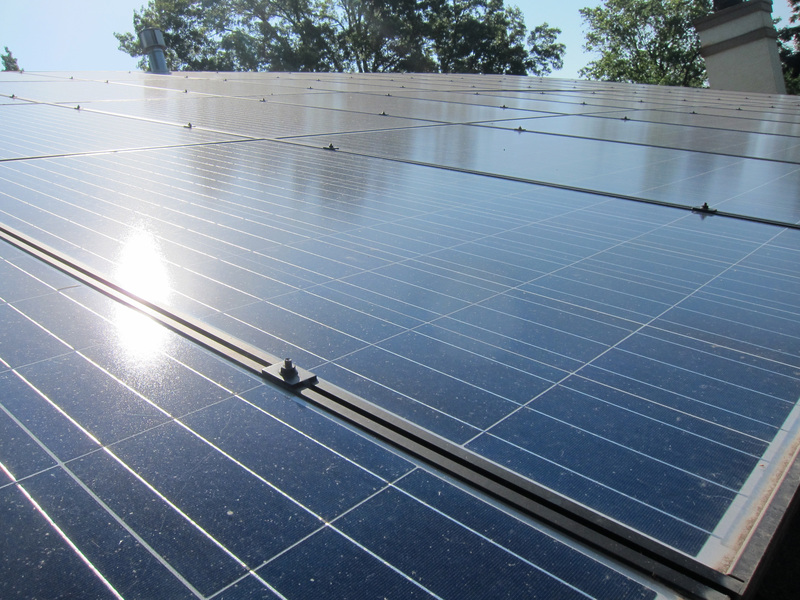 The sun’s energy can be harnessed several ways but the most cost efficient for individuals and homes are solar panels. Solar energy systems produce direct current (DC), however households use AC. So, our solar system has two Sunny Boy 5000TL US-22 inverters which convert the solar energy captured by our 48 Canadian Solar panels from DC to AC which is then put into the breaker panel. Outside of some switching noises in the morning when the inverters turn on, they don’t hum or make noise. 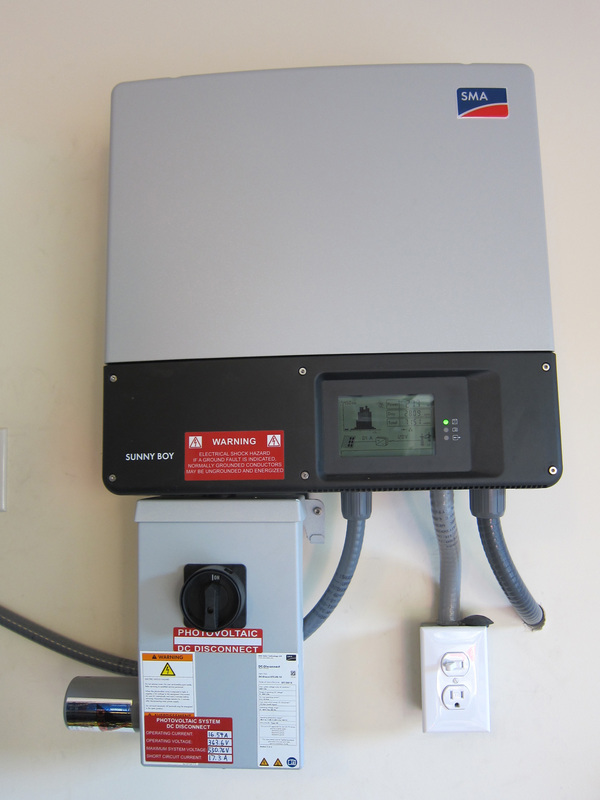 These inverters have continuous output display panels on them and are connect to the internet to allow us to track the production anywhere. Next, figuring out how far the i3 could go on a single charge was a little more difficult because of varying driving conditions that effect efficiency. 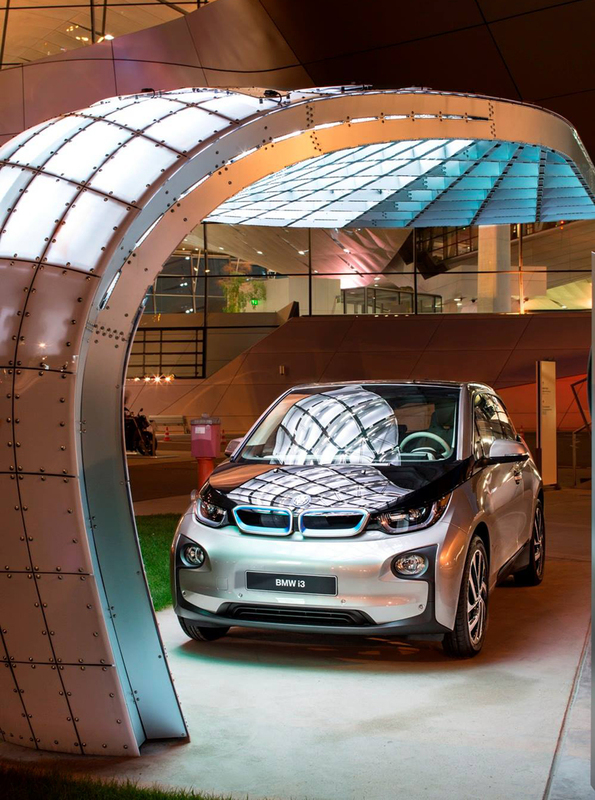 The i3 has a 22 kWh (kiloWatt hour) battery pack but its use able capacity is 18.8 kWh. Most months we are able to go about 5 miles per kWh which falls right in line with the as advertised 80-100 mile range on a single charge. However, we have found this to be rather variable depending on weather and how it’s driven. Interestingly, the i3 is more efficient in the city stop and go traffic of less than 50 mph, than it is at 75 mph on an interstate, whereas “ICE” internal combustion engine autos are more efficient on the interstate. We experienced no difficulty getting around in the snow with our i3 while driving shod with snow tires, though the bitter cold, arctic winter can dramatically shorten the range of of the i3 and all electric vehicles. See here for winter driving review. A little over a year ago, we had a 12 kW Solar system installed on our home. In 14 months, it has produced 17.58 MWh (megawatt hours) which has been more than we have consumed over the same period even factoring charging of our i3 BEV doing 1000 miles a month. Obviously we consume electricity when are not producing, namely at night, during storms or when covered in snow. So we still have a monthly bill to pay, but it’s not much. The amount of electricity in kWh we produce in excess of production is credited each month and then subtracted from our usage in kWh from the grid. This is called Net Metering and many utilities have it. They do not credit us 1:1 for each kWh we kick into the grid because of the costs of maintaining the grid, power lines etc. In the last 4 months, our electric bill has been $74 – $44 of which is a “customer charge” for being hooked up the the grid. BMW makes an incredibly slick EVSE/ Electric Car Charger which we used to charge the i8 press car. 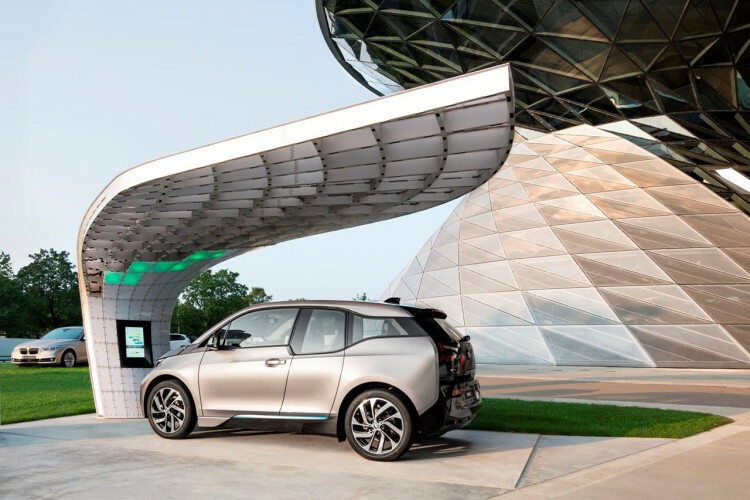 This will allow the user to specify which electrons charge the car, meaning, you can specify to the BMW Wall Box Pro to use only solar to charge your car, not the grid. The U.S. market has not received this EVSE yet, so we try to charge our i3 during peak production times of our solar panels. We use this Electric Car Charger (EVSE) or many others buy this unit. In 11,000 miles of driving the i3, I figure we’ve saved about 500 gallons of gas that we would have bought to cover the same distance in our 2007 X3 which averages about 22 mpg in combined city/hwy driving. 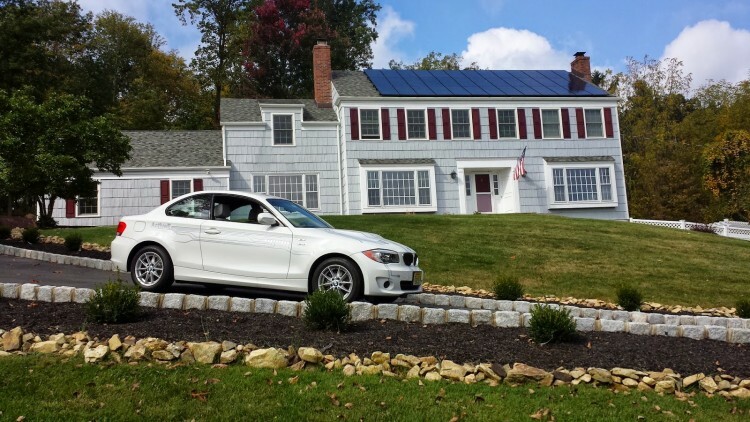 What I didn’t expect was the benefits of having solar while having an electric car. The i3’s impact on our electric usage has been far less than I was anticipating, in part because the i3 is the worlds most efficient electric car with a rated 124 MPGe. Being able to harness the sun’s power costs of course isn’t free. There is an upfront installation cost. We figure that the of our solar system will pay for itself in about 12 years assuming that electric rates do not increase. Given that we are also using it to power our i3 going 1,000 miles a month, our payback will be sooner. There are some people that lease their solar systems which is another way to get solar without out the large upfront costs. There is a sense of independence from driving an electric vehicle powered by solar energy. Some people on the BMW i3 Facebook group even go so far as having license plate that say Sun Gas. It’s not quite an off the grid “net zero” lifestyle for us, but it is close. It certainly feels good to be putting fewer emissions in the atmosphere with solar and an electric car. BMW talks about electric vehicles infrastructure in the U.S.